Vauxhall, an area in the London Borough of Lambeth, was once known for being run-down, neglected and no-one’s first choice as a place to live. This is changing, however, and Vauxhall is set to be regenerated and transformed to become an ideal location for anyone wishing to move to London. 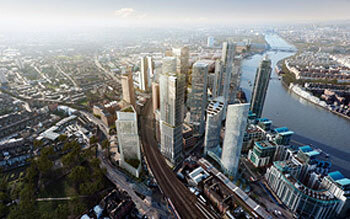 The Vauxhall Nine Elms Battersea (VNEB) regeneration is the largest regeneration area in central London, set to transform the area by 2030. As Vauxhall estate agents will tell you, now is the time to move into the area so you can be part of the action. As part of the regeneration in Vauxhall, the town centre will be transformed with new walkways, shops and other entertainment. There are also plans to restore a High Street and create a Civic Town Square to further cultivate the sense of a local identity and culture. In the VNEB area as a whole, there are two new schools to be built and around 50 acres of new public space. As Vauxhall estate agents will tell you, there are around 3,500 homes expected to be built in the Vauxhall area. Across the entire VNEB area there are over 18,000 new homes set to be built. During construction, there are estimated to be 22,000 jobs created and a further 25,000 as and when businesses crop up in the new buildings. Transport in Vauxhall will also be improved with new footpaths and cycleways to be created, a new underground station built and £45 million to be spent on refurbishment at the Vauxhall rail station. Even if you currently do not work in Vauxhall, the improvements in transport will make it easier than ever to commute. Perhaps most excitingly, construction has also begun in the VNEB area for a new US embassy, which is the decision that sparked the area’s regeneration. Reportedly, the old embassy was too small and did not meet appropriate security standards, and constraints on the existing embassy pushed developers to look elsewhere – Nine Elms. With the Dutch embassy’s decision to also move to Nine Elms, it is time to talk to Vauxhall estate agents if you want to be near London’s newest diplomatic quarter. If you would like more information, or would like to talk to Vauxhall estate agents, contact Henry Wiltshire today.